Fill in the fields below and our staff will contact you as soon as possible to confirm your reservation. 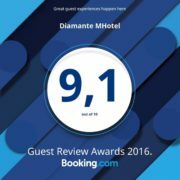 I am aware that this reservation request must be confirmed by the management of the Diamante MHotel. This is used only to indicate the preference for a date, a time and a room that will be reserved and confirmed by our staff by email, subject to availability.